Its that time of year again when we begin to decorate our homes for the holidays. Its also what is the great debate of the year. Do you buy a fake tree or do you go real? 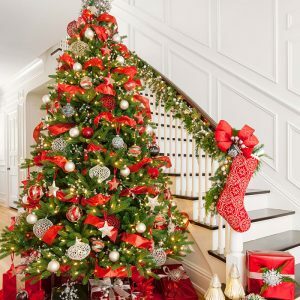 There are pros and cons for each but if you do decide to get a real tree there are some things you need to remember to get your home safe from fires. Now I am not here to scare you out of buying a real tree. Nothing beats the family traditions, the memories and the smell. But I am here to hopefully prevent a small or even a large fire in your home during the holidays. When showcasing a live tree in your home, the combination of tree dryness, electrical malfunction with lights and poorly located heating sources can make for a deadly combination. Do not place it near any type of heat source in your home. A working a fire place, candles, radiators, heat vents, and lights. 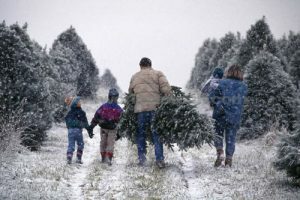 A lot of family memories can come from going to a tree farm and cutting down a fresh Christmas tree. If you do not have a local tree farm near you, Christmas tree stands pop up all over towns and cities right before or after Thanksgiving. When picking out the perfect tree always remember a couple of things. BUGS!!! A lot of times bugs tend go dormant in your Christmas tree when the weather drops down. And sadly when they get into your warm lovely living room they wake up. Do a a quick shake to your tree in the parking lot to help remove any bugs from the branches or trunk that could possibly end up in your home. This will also help remove any dead needles. To confirm no unwanted guests made it home with you, do a quick inspection with the help of a flashlight. Things to look for include bird nests, egg masses, and, of course, bugs! Do not spray bug spray on your tree in hopes that will kill any unwanted bugs. Bug sprays, which can be extremely flammable don’t mix well with Christmas lights. After all, a few critters are nothing compared to a tree on fire. If you have a garage, leave your tree for 24 hours in your garage before bringing it into your home and decorating. 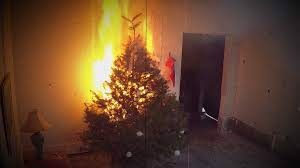 From 2011-2015, fire departments in the United States responded to an annual average of 200 home fires that began with Christmas trees. They caused an average of six deaths, 16 injuries, and %14.8 mill in direct property damage. Electrical distribution or lighting equipment was in 40 percent of Christmas tree related home fires. On average, one of every 32 reported Christmas tree related fires resulted in a death, compared to an average on one death per 143 total reported home fires. In 26 percent of Christmas tree fires and the 80 percent of the fatalities, some type of heat source was too close to the tree. Four of every five Christmas tree related fires occurred in December or January. So now that we know the statistics for these fires, next is how to we prevent them so we don’t become one. Pick a fresh a tree. Like we mentioned above fresh trees are less likely to catch fire. Avoid trees with brownish needles, this means the trees are very dry and you guessed it, will be much easier to catch on fire. Keeping your tree well watered will keep it from drying out. Fact is that a dried out tree can burn faster than a piece of newspaper. Keep your tree at least 3 feet from any type of heat source. Never use real candles to decorate your tree. Check the lights and keep an eye out for any frayed wires, broken bulbs and any loose connections. If you spot signs of damage or wear, the lights should be replaced. When the holidays are over, toss your tree! 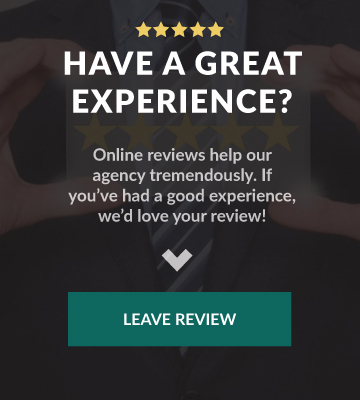 We hope that this has been helpful and maybe even a bit a of a refresher for you! Farquhar and Black hope everyone has a happy, healthy, and safe holiday season! 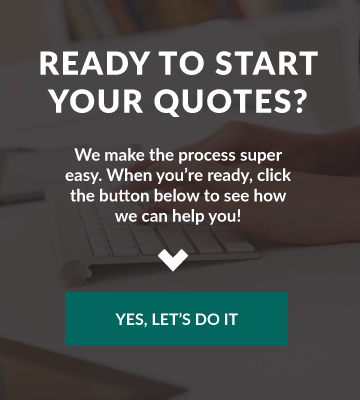 Previous Post: What type of Home Insurance do I need?